Learn to do the Electric Triangle, a quick transition from an Electric Fan to a Green Triangle. 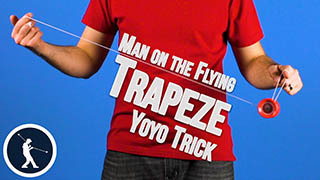 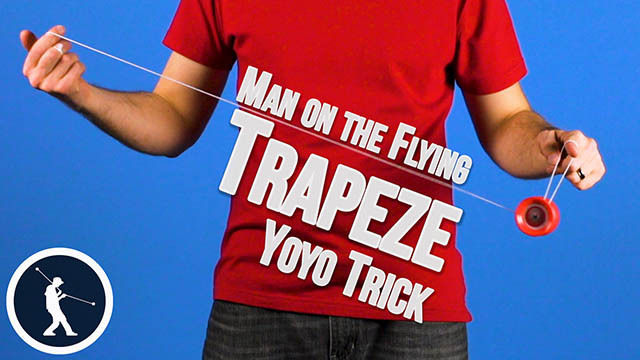 To perform this trick, first we are going to start in a trapeze. 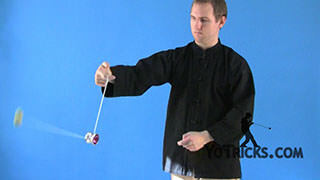 Then we are going to do a 360 to E-Fan. 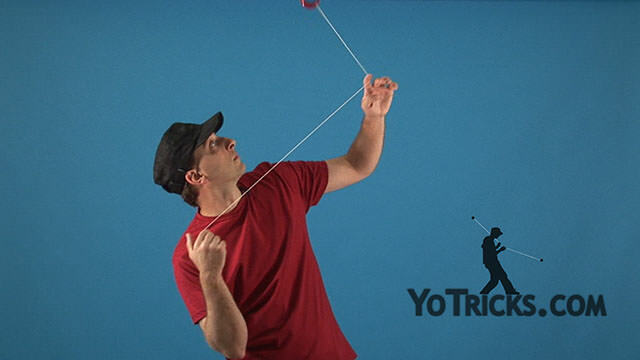 If you are not sure how to do this, we have a tutorial in our 5A fundamentals series. 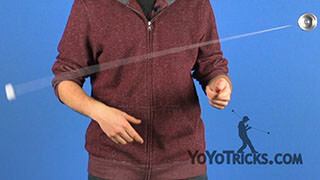 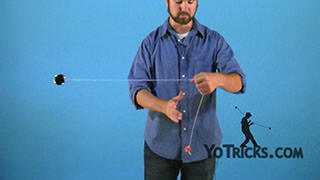 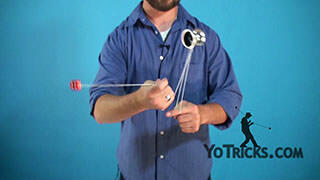 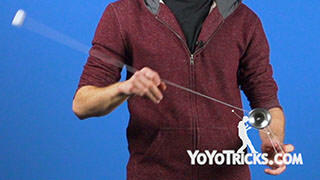 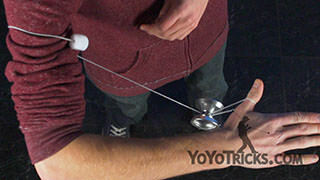 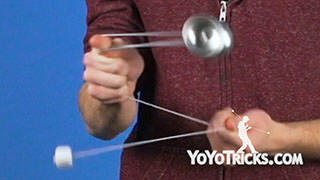 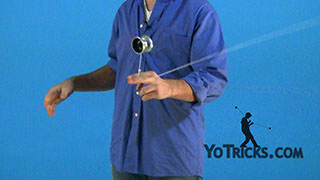 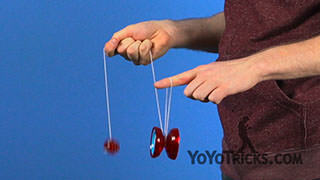 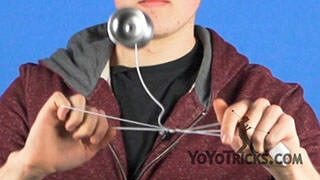 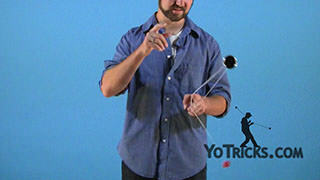 Just like how we mentioned in that tutorial, it is really important to make sure that the counterweight string is coming out from between your thumb and pointer finger, and that the yoyo string is coming out from behind your pinky. 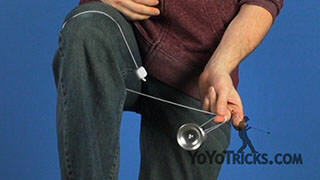 From here, we are going to do an Eli Hop with the yoyo. 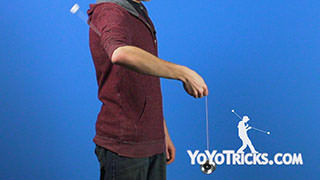 Right at the top of the Eli Hop, we are going to take the counterweight and swing it into our opposite hand palm, and catch it. 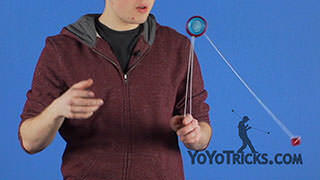 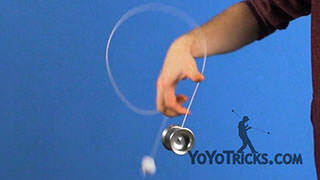 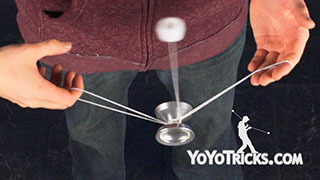 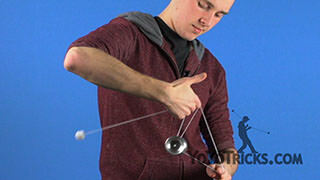 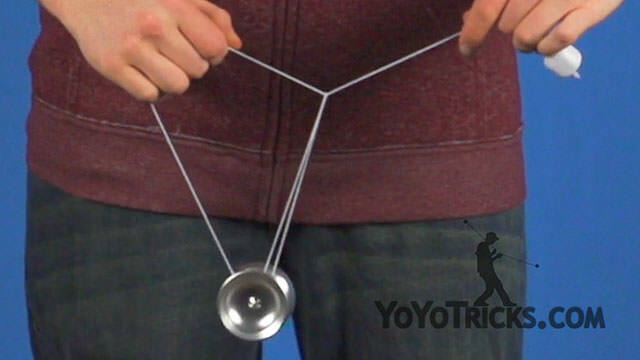 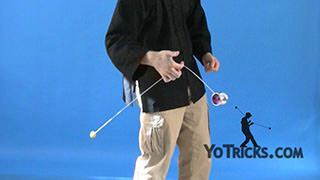 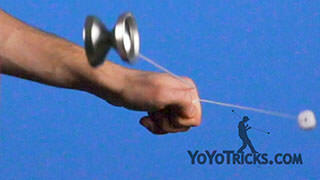 After you have caught the counterweight and as the yoyo is falling down, what you want to do is take your throwhand, tilt the bottom of it outwards, so that the yoyo can land on the string leading from your pinky in front of the string leading into the counterweight. 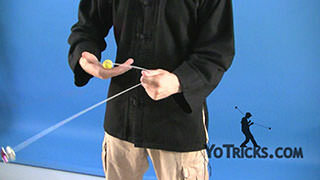 Then you can pull your opposite hand pointer finger out of the loop, revealing the Green Triangle. 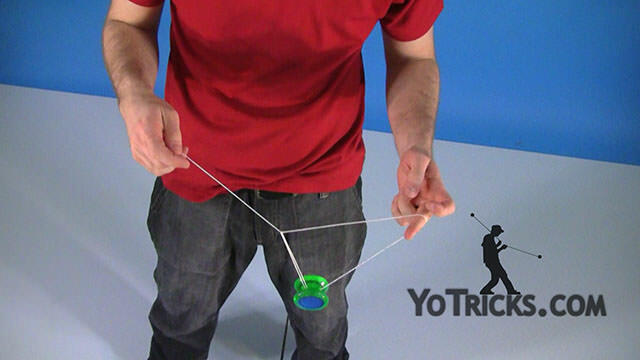 If you do all these steps in a really quick succession, you can make it look like the triangle appears instantly. 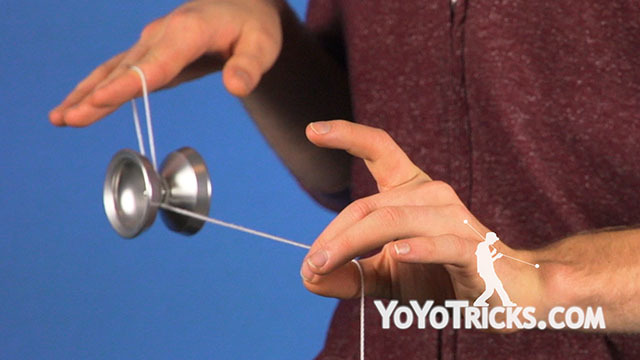 From here, you can hop the yoyo out to the front. 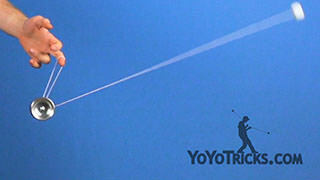 Land it on the top string. Uncurl your throwhand pointer finger, and then you can perform a drop trapeze to bring it to a regular trapeze and go into an undermount and perform a bind. 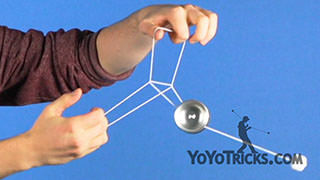 And that is Electric Triangle.